On October 29 the SBIA published an open letter in the Vancouver Sun expressing concerns about the consultation process ahead of two supervised injection services (SIS) in Strathcona. Since then the SBIA has been working on a number of follow up areas. We hosted a member event to discuss the two proposed SISs on November 16 with the VPD, Vancouver Coastal Health (VCH) and the City of Vancouver. In late November, we met with the Mayor, Councillors, the City Manager and senior staff and conducted a walk-through of the neighbourhood with the City Manager to address concerns and to look at capital investments for the neighbourhood. We have since drafted a list of capital improvements, such as pedestrian signals for crosswalks on Clark and another at Venables and improved lighting. We will be working with the City on these improvements over the coming years with some implementation starting in 2017. The SBIA co-hosted and served on a panel with the VPD, City of Vancouver, VCH, First Nations Health Authority and local residents on a dialogue on community health with January 19th at the Strathcona Community Centre. On January 25, City Council approved funding for a Strathcona Community Policing Centre. More details on this project can be found below. On February 27, VCH announced the opening of DTES Connections, a new clinic for people with untreated addiction. This is part of the DTES Second Generation Strategy, which after extensive consultation with stakeholders, clients, staff and physicians, identified the need for low barrier services that are well integrated with other health services.� DTES Connections is part of VCH’s work to strengthen treatment services as much of the work in recent years has been focused on harm reduction. The City, VCH and other partners have been working on programs to help reduce overdoses in residential facilities, where the vast majority of overdoses occur. At the time of writing, the two SISs have yet to be approved by Health Canada, though approvals are expected to be granted soon. On January 25, City of Vancouver Council approved funding for a Strathcona Community Policing Centre (CPC). CPCs involve local citizens working in partnership with the police to create crime prevention programs and community engagement initiatives to address local crime and safety concerns in their neighbourhood. 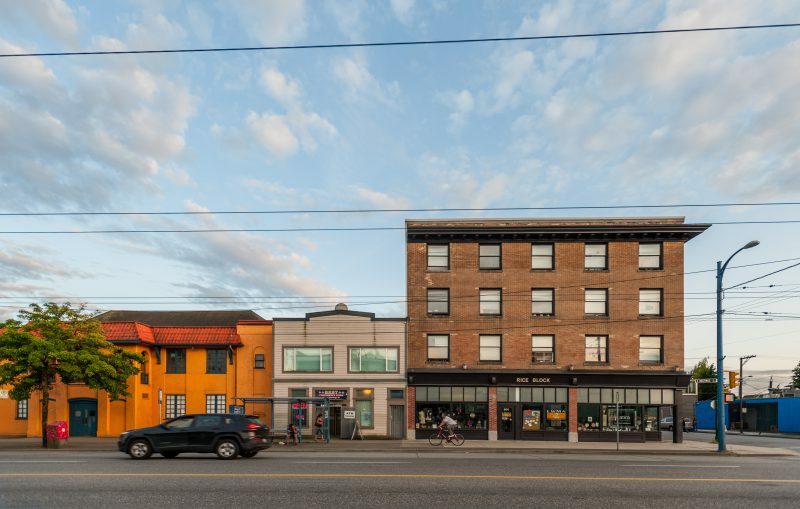 The Strathcona BIA has helped form the CPCs interim board of directors and has been working on getting the organization’s governance structure and documents developed, meeting with other CPCs to research space needs and programming, exploring potential office locations and community outreach. Further updates will be made in the coming weeks including the announcement of the location, interim staffing and more information about membership and volunteering. We look forward to continue working on this initiative and other areas of advocacy work at various government levels.